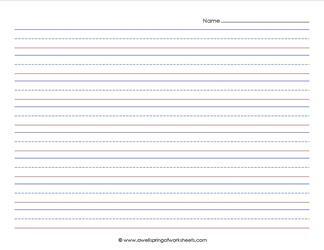 This primary lined paper comes in a landscape format with a line for a name. It has a red baseline, dashed midline, and lines 7/16″ tall. Suggested for second and third grade. 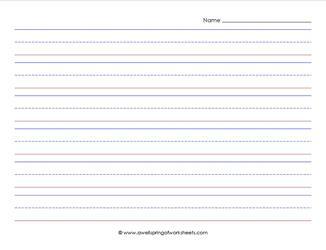 This primary lined paper comes in a landscape format with a line for a name. It has a red baseline, dashed midline, and lines 7/16″ tall. Suggested for 2nd and 3rd grades. 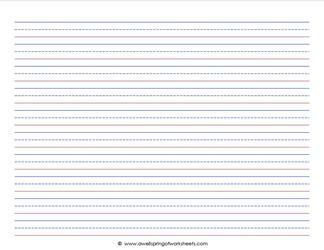 This primary lined paper comes in a landscape format with a line for a name, a box for a picture, a red baseline, dashed midline, and 7/8″ tall lines. 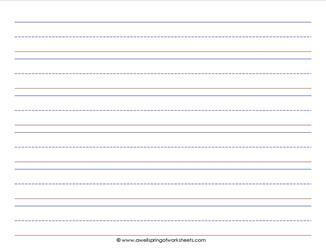 This primary lined paper in a landscape format has a red baseline and dashed midline with lines that are 1/2″ tall. Suggested use is for second and third grade. 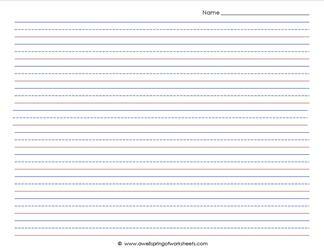 This primary lined paper comes in a landscape format with a line for a name. 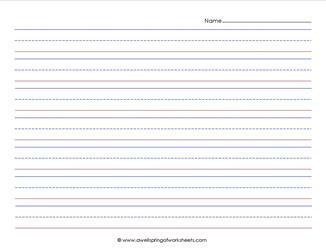 It has a red baseline, dashed midline, and lines 1/2″ tall. For 2nd and 3rd grades. 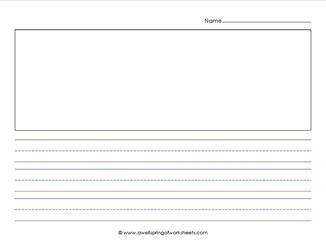 This primary lined paper comes in a landscape format with a line for a name, a box for a picture, a red baseline, dashed midline, and 1/2″ tall lines. 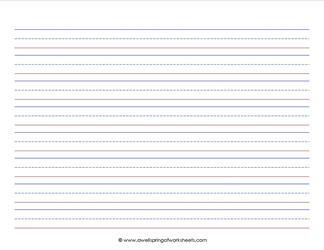 This primary lined paper in a landscape format has a red baseline and dashed midline with lines that are 5/8″ tall. Suggested use is for first grade. 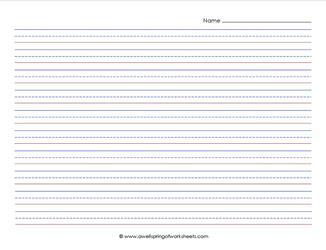 This primary lined paper comes in a landscape format with a line for a name. It has a red baseline, dashed midline, and 5/8″ lines. Suggested for first grade. 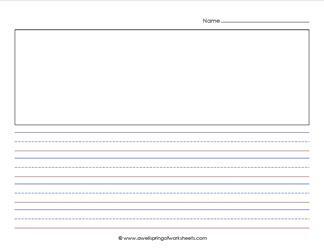 This primary lined paper comes in a landscape format with a line for a name, a box for a picture, a red baseline, dashed midline, and 5/8″ tall lines. 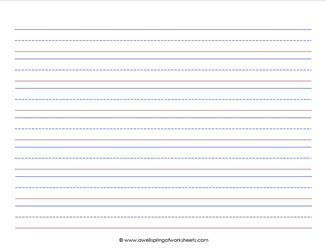 This primary lined paper in a landscape format has a red baseline and dashed midline with lines that are 3/4″ tall. Suggested use is for kindergarten and first grade. 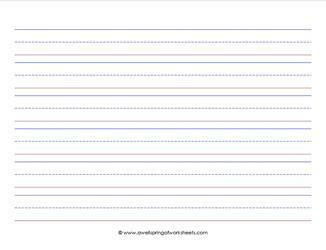 This primary lined paper comes in a landscape format with a line for a name. It has a red baseline, dashed midline, and lines 3/4″ tall. Suggested for kindergarten and first. 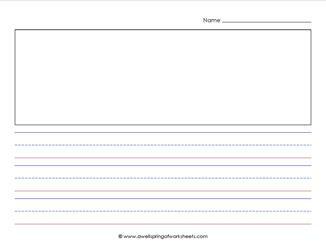 This primary lined paper comes in a landscape format with a line for a name, a box for a picture, a red baseline, dashed midline, and 3/4″ tall lines. 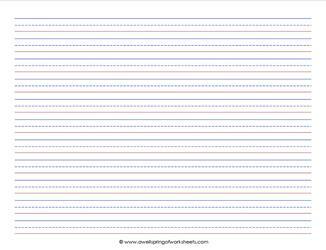 This primary lined paper in a landscape format has a red baseline and dashed midline with lines that are 7/8″ tall. Suggested use is for kindergarten. This primary lined paper in a landscape format has a red baseline and dashed midline with lines that are 1″ tall. Suggested use is for kindergarten.